The giants, a titanic generation, born from Terra (also known as Gaia), and Uran (Uranus), was a gorgeous, violent and non religious people, having no belief in gods, as being themselves of divine essence. The giants were by excellency a mountain’s people (Uran is the sinnonymous of mountain, or the Mountain’s Man). In their war with Zeus, they built mountains over mountains to get to Olympus, to God’s Palace, the huge Atlas trembled when they attacked, and although the Gods, headed by Zeus, pounced over the Giants, throwing lightings, they still weren’t capable to overcome them, and Hercules himself had to intervene to get them. The Giants County was on the old Dacia territory, near the saint Oceanos Potamos River (Danube), where, from the same parents, Gaia ans Uran, their bigger brothers, the Titans, were born. 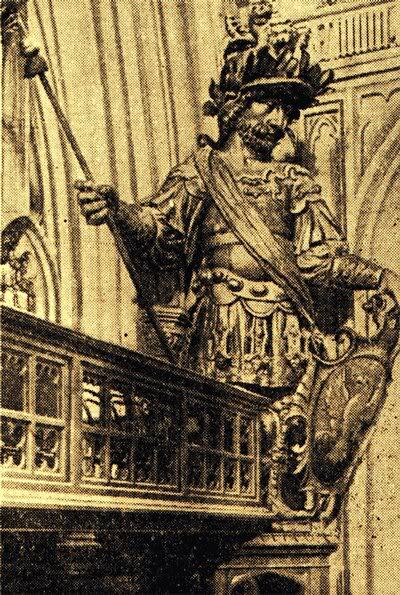 Often, the Romans used comparrations as the fight between Gods, Titans and Giants, with the wars against the Dacians, the Romans calling themselves the winning Gods over Titans, Giants, and then the Dacians. 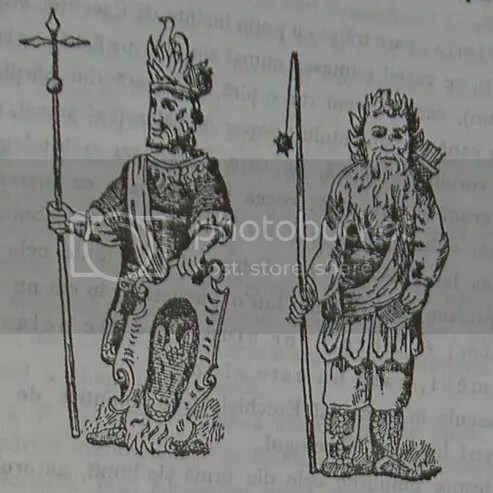 The Giants were mentioned also into the Jewish traditions, being known as Gog and Magog, as Ezekiel mentioned. 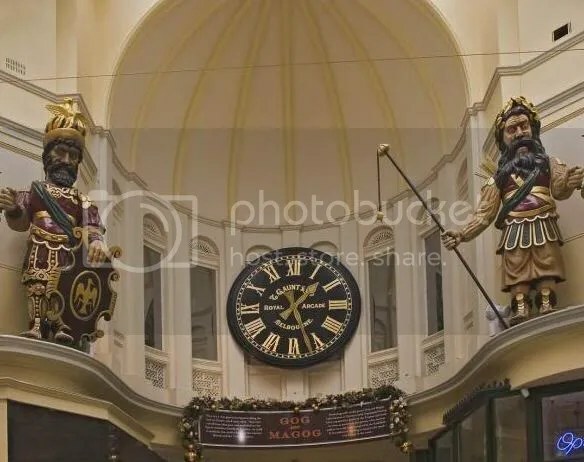 In one of his stories, the prophet and the storyteller Ezekiel threatened the Jewish people that Jehova will bring as ruller over them the King Gog from Magog, with his beautiful army, armed with swords, spears, bolts , shields and helmets. They, coming from North, riding on horses, will rush as a storm over Israel, to steal and destroy it. They will scour the land in triumph, will trap down the Jews, and then, after fulfilling their mission, will be all destroyed by the anger of The Sky. 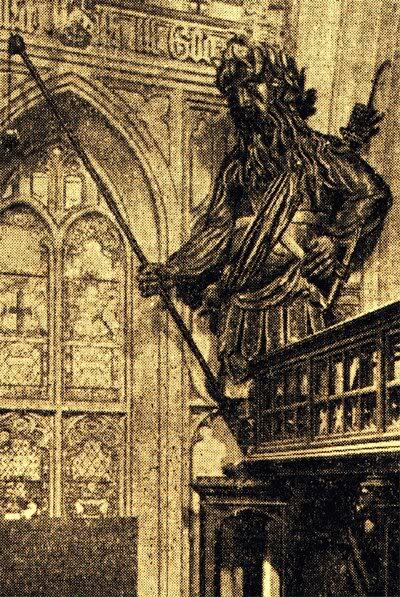 Ezekiel’s prophecy referred , no doubt, to the old traditions about the great war between Giants, Titans and Gods, like when the Giants and Titans chased the gods all the way to Egypt. The Jeremiah prophet , that lived not long before Ezekiel , talks about the same people, whom he simply calls them as the “gentium praedo”, that will come from a far away land, from North, from the bottom of the Earth. It will be a courageous people of archers, old and strong, talking a language unknown to the Jews, they are a big people, cruel and ruthless, with their voices moaning like the sea. They are coming on horses faster than the vultures , all in a row, prepared for big invasion war. They will destroy Jerusalem, like Nabucodonosor, will destroy all of Juda’s strongholds, transforming the country of the Jews in desert, so that no man will be left in Jerusalem, and all the Jews will end up in slavery. From here we took the name Lucifer-Luciferis (daystar), which was given to Nabucodonosor by Christians. With six centuries before Ezekiel, also John the Theologian write about Gog and Magog, in his Book of Revelation. Speaking about the last time of the humanity, John says that after 1000 years of prison for the serpentine dragon Typhon (Devil, Satan, Set, Ahriman etc) the dragon will be released, he will rebuild his strength and he will lead at war the people of Gog and Magog, which are splitted in four corners of the world and whose number is as the sand of the sea. The Book of Revelation consider that all pelasgian tribes descended from Gog and Magog, divided in different parts of the world. Those people will run over the face of the Earth and they will siege the beloved city of Jerusalem, and they will be punished by the heavenly fire (God of the Jews, Yahweh). In The Book of Revelation we can find a copy of the old Jewish traditions, written by the prophets Ezekiel and Jeremiah, with many years before Christianity. 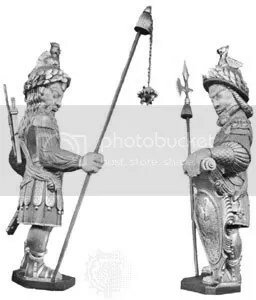 Under the name Gog and Magog, the ancient people understand Getae and Massagetae Thracian tribes. The names Goga, Gugu, Gugă, Gogă and Gogan are also used today by Romanian peasants, especially in mountain regions. From the Sibylline Oracles result that the countries where the tribes of Gog and Magog live, are in the northern part of Thrace. 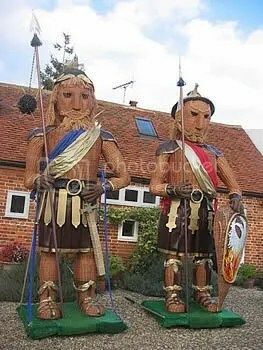 Other traditions about Gog and Magog are presented in the epic legends of the Alexander the Great. The country of the tribes Gog and Magog is described as wild and inhospitable, being subjected to Boreas wind (Northern wind), rain and Northern frost. According to the epic legends of Alexander, the tribes of Gog and Magog invade Southern regions and they closed Alexander in Macedonia, making him prisoner, but Alexander managed to escape and to gather a great army. After that, he will conquer the Northern regions of Gog and Magog (Country of Gog and Magog). Other ancient legend tell us that tribes of Gog and Magog were under the rule of Popa Ion, a prince who rule also in Asia. Undoubtedly that here we have an old reminiscence about the adorable Pelasgian King Ianus (Janus, the god of gates, doors, doorways, beginnings and endings) which rule over the Arimi tribe, at the North of Oceanos Potamos (Danube), before moving to Italy. His face is also present on the old coins of Dacia.